I love that my boys make healthy food choices all on their own. They understand the importance of eating the right foods, and staying fit and healthy. 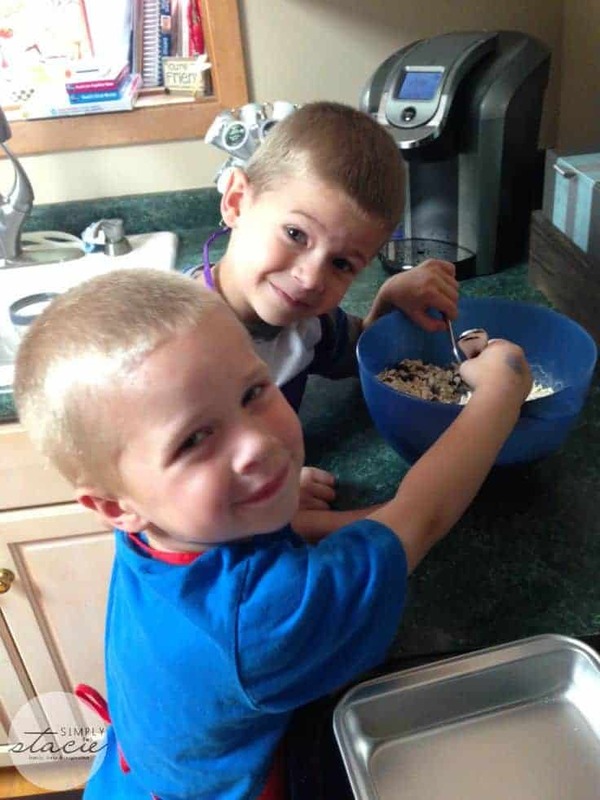 Part of why I think my boys make such good choices when it comes to food is that I like to involve them in making decisions at the supermarket, and helping cook and bake at home. Andy Kavanagh, founder of Cub Snacks, understands the importance of teaching kids to cook and bake, and has created the perfect subscription box to entertain, educate, and let kids make their own healthy yummy treats! We received a Cub Snacks box for review and from the minute I opened the box I was impressed. The box was filled with everything we needed to make Nice N Crispy Bars. 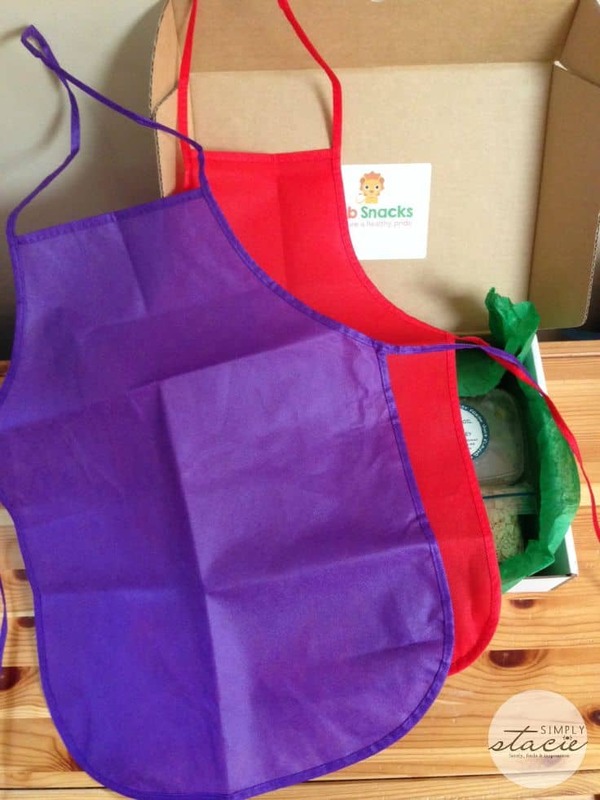 The ingredients were well packaged and the box even included two aprons for my boys to use. I was really happy that this was a simple recipe that allowed for both of my boys to get involved with. The portioned ingredients made it easy to let my little guy dump them all in to the bowl and my big guy loved getting everything mixed together. The three of us had fun mixing up all the ingredients and it took us only a few minutes to have our bars ready for the refrigeration stage. After a few hours in the fridge our bars were ready and we couldn’t wait to dig in! The only word I can use to describe these bars is phenomenal. Not only did my boys like them, but my husband and I both thought they were out of this world! It was so great to have a snack that we all loved – easy for all our lunch boxes. And the bonus is that we had the pride of knowing that we made them ourselves. The recipe for the bars was super easy to follow, and there were even little games and puzzles and fun food facts included in the box. I would highly recommend Cub Snacks to any parent with young children – get them involved in their food, make it fun, make it healthy! A one-time box/gift is $36.99, but you can save money with a monthly, 3-month, or 6-month subscription. Andy Kavanagh started Cub Snacks to help out busy parents – knowing that not everyone has the time to source, prepare, and cook with their kids. Each Cub Snacks box comes with everything you need to make a quick snack while learning about healthy eating. I think a subscription would make for a great holiday gift – one that keeps on giving! You can feel good about subscribing for your family or sending a subscription as a gift – Cub Snacks only uses ingredients that are GMO-free, have no artificial colors, additives, or preservatives, are gluten and egg-free, and they use as much recyclable materials as possible in their packaging. Everyone wins! 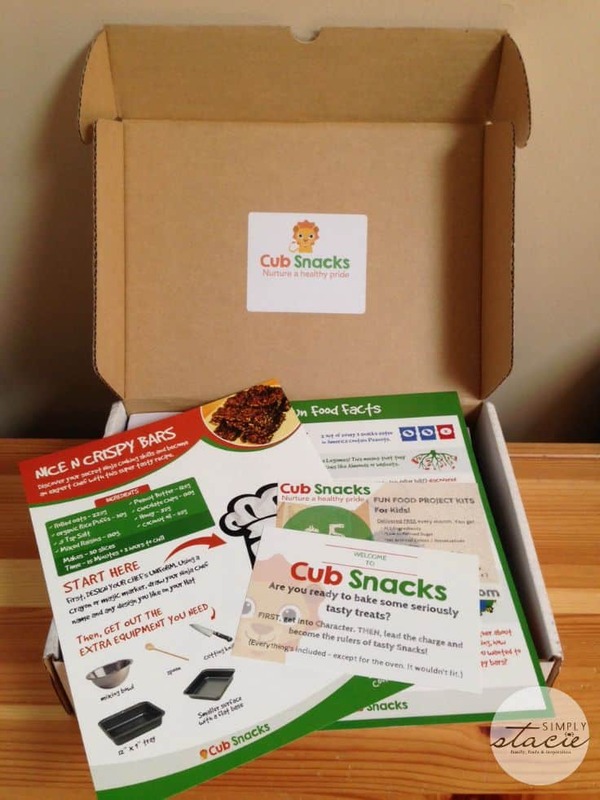 To learn more about Cub Snacks, visit their website. I like the gift/one time purchase you can send someone. I love that it teaches kids to cook with healthy ingredients. I like how these kits can make cooking fun for kids. It’s important they like it when they’re young, so parents can teach them how to cook. That way they know how to cook when they’re older and their parents aren’t there to do it. Some parents forget how important that is and teenagers reach 18 without knowing how to boil an egg. I like that it teaches kids with healthy ingredients. I like that the recipes are easy! It helps kids learn how to cook. I learned they use minimal sugar and no trans fats in their ingredients. I learned that they have No Artificial Colors, Additives, Flavorings or Preservatives! I love this concept! It’s the first time I’ve seen a box like this for kids that has so many healthy ingredients! Love that they use organic products as much as possible. i love that the cub snacks box helps to teach kids how to cook! very helpful! I learned that all their recipes are pre-tested and kid-approved. I like that all products are Gluten and Egg free. I like that its with healthy ingrediants!! I like that each kit comes with two hats. I love that the ingredients are all healthy! It’s also a wonderful idea for teaching kids, step by step, how to cook. Thanks for the opportunity to win! ! I like that they are FUN & HEALTHY BAKING PROJECTS. I learned that they contain minimal refined sugar. I love how easy and prepared everything is. It lets me save time on prep and shopping and get all the enjoyment of homemade. I like that the ingredients are all-natural! I like that Cub Snacks don’t contain any artifical colors, additives or preservatives. I love that it is geared towards kids! I think my children would love this. I love that it gets kids in the kitchen. I loved to cook and bake as a child, this would have been so much fun for me, so I know a lot of kids are having fun with this. My nieces would love this, as its geared towards kids. Thanks for the chance to win. I like that they include aprons and chef hats for our little chefs. I love that it’s all geared towards kids. We need more things like this! I learned that they have a one-time, monthly, 3 month, and 6 month subscription service. 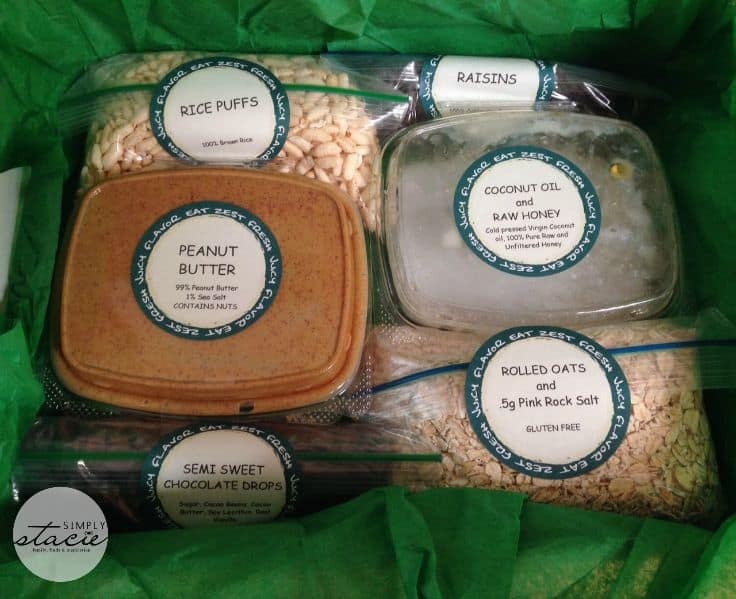 I learned you can get a subscription or choose a one-time kit so you can gift it! I love the fact that they state “No Artificial Colors, Additives, Flavorings or Preservatives” in any of their products. I definitely love that it is gluten-free. I learned that the packaging is Recycleable where possible. I learned you could get a one time gift, one or three months subsrciption. I like that the box includes a chef’s hat and apron in a kid size! This will get the kids excited about cooking. I like that they have No Artificial Colors, Additives, Flavorings or Preservatives. I learned that the company is located in Mountain View, California.